THE Government should act quickly to resolve the tariffs stand-off between Mopani Copper Mines (MCM) and the Copperbelt Energy Corporation (CEC) before it develops into a contagion infecting other mining firms, an energy workers’ union has advised. The National Energy Sector and Allied Workers’ Union (NESAWU) said yesterday the ‘gravely worrying’ face-off between CEC and Mopani had the potential to influence other mining companies that are currently abiding by the new tariff perks into asking why they should not be challenging the revised power prices the way MCM was doing. NESAWU general secretary Manson Mutambo said in a statement it was shocking that Mopani should continue with its intransigence over the new tariffs, even as the company was benefiting from the surge in the price of copper on the international market. “If poor Zambians are paying the cost-reflective tariffs which were adjusted by 75 per cent, business houses should not expect to have subsidized electricity. Why wouldn’t MCM that has deeper pockets think they should continue receiving subsidized electricity?” Mr Mutambo said. The statement came as three members of Cabinet, led by Finance Felix Mutati tried to mediate in the differences between the MCM management and power suppliers, CEC and Zesco in Lusaka, in a meeting that was still going on at the time of the Times going to print. Mr Mutambo said the union and the people of Zambia had not forgotten that just two years ago, the Government allowed Mopani and other mining firms to sacrifice thousands of mining jobs to help them stay afloat when the price of copper crashed. “In 2014 and 2015, when the country faced the twin challenges of power shortages due to droughts and low copper prices on the international market, mining companies retrenched more than 9,000 workers which happened despite Government supplying mines with imported power at subsidized tariffs”. He added, now that copper prices had rebounded to US$6,600 per tonne coupled with stability in the power supply after good rains, it was shocking that MCM was still resisting to pay the revised power tariffs. Mr Mutambo said it was surprising that the mining firms that consumed more than 55 per cent of the country’s energy, could still insist on paying for power at the old rates when they were now making more money than they were a few years ago. He urged MCM, which last week sued for CEC to be cited for contempt for continuing to restrict ppower to its operations despite court injunction restraining it from doing so, to exhibit good corporate citizenship by paying the new industry-wide tariffs like other mining companies were already doing. 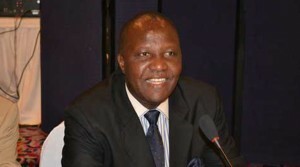 In Lusaka, the mediation meeting chaired by Finance Minister Felix Mutati to resolve the impasse continued for the second day yesterday going well into the evening. When contacted by Press time, Mines Minister Christopher Yaluma and his Energy counterpart, David Mabumba confirmed the meeting was still going on, saying the nation would be apprised of the outcome.